RAM: 16 GB of RAM is perfect for playing games. 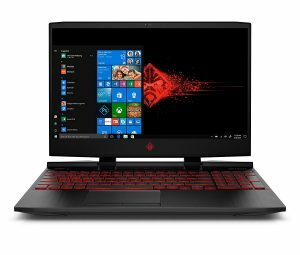 Most under $1000 gaming laptops usually comes with 8 GB RAM, but you can upgrade later if you need to as they come with additional slots that allow you to add more RAM. Sound system: Playing a shooter game as you listed quality sounds will add more fun to your gaming experience. Best gaming laptops usually come with a good sound system that is loud and clear. The Lenovo IdeaPad 15 Y700 is the king of budget gaming. It has the powerful processing power and discrete graphics main it ideal for immersive and intense gaming. The Y700 thermal cooling makes sure that the laptop does not heat up; thus you can play your favorite games without any interference. In addition to that, this laptop has Full HD display lets you experience clear pictures and video games. The sound system of the Ideapad Y700 is of high quality, it also has a keyboard that usually lights up during the night and you can select 2 levels of brightness depending on your mood. This is a laptop that is specifically designed for gaming. You can use it to play the latest games such as Overwatch, PUBG, Fortnite and more giving out a great performance. Its features an 8th Generation i5-8300H Processor and Quad-Core to provide top gaming experience. Moreover, this laptop has 12 GB DDR4-2666 SDRAM and comes with two memory slots that create more room for upgrading. The laptop comes with a long life battery that lasts for more than six hours regardless of how you are using the laptop. With its Dragon Red backlit keyboard, it makes it illuminated in order to have instant key recognition. The ASUS FX503VM comes with an affordable price at the same time comes with powerful features for the gaming experience. It has a compact design furnished with the latest Intel processor as well as NVIDIA GTX 10 GeForce Series graphics. On the other hand, this laptop will make you entertained the whole day because it has a battery that lasts for a long time after a single charge. The laptop is also furnished with 802.11ac Antenna WiFi and Bluetooth for easier connectivity. It does not end there because of HDMI port, 2x USB (Type A) ports, Mic jack/ headphone to connect to external devices. The ASUS FX503VM has 1TB HDD and 128GB M.2 SSD that gives you more storage space for your games. It additionally has a lightweight design with only 5.7 lbs. in weight. 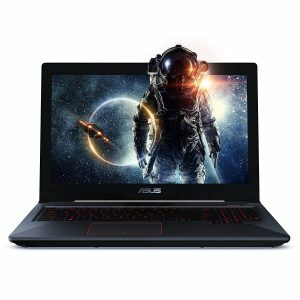 The ASUS TUF is a great choice for a gaming laptop that comes with under 1000 USD. It comes with a sleek design with 8th Generation Core i5-8300H processor to ensure multitasking and superior gaming performance. On top of that, it has a thin profile hence it is portable and only weight 5.07 lbs. It has a dual fan that makes it resist from overheating and anti-dust technology that gives it prolonged lifespan. Thanks to its latest Intel 802.11ac Wave as it will make sure that it has incredible data transfer rates. You will be able to play the latest games and multitasking because it has a GTX 1050 Ti graphics combined with powerful processor ensuring smooth performance. 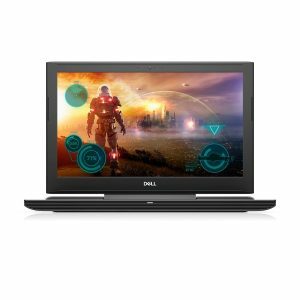 Take your gaming experience to the next level with the Dell Inspiron 15 7000 Gaming Laptop as it has a seventh generation Intel 2.50 GHz i5-7300HQ processor that is powerful enough to play even the latest games available. With its 5400 rpm 1TB Hard Drive, it provides large storage even for games that require large space. In addition to that, it has 8GB Memory and NVIDIA 1050 graphics for full HD gaming experience. This device sports a 15.6-inch HD IPS screen to improve your gaming experience and deliver rich yet eye-friendly visions to the gamers. It also has a great cooling design thus the laptop will not be overheated whenever you are playing the game. 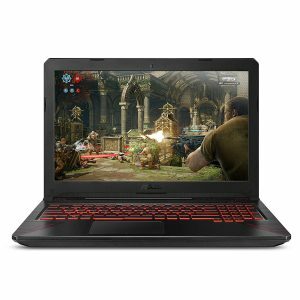 Dell gaming laptops are some of the decent reasonable priced gaming laptops available to purchase in the market right now. 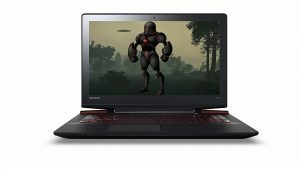 This laptop has a NVIDIA GeForce GTX 1060 graphics and 7th Gen i5 Intel quad-core processor that boost its performance whenever you are playing the game. With its 2×2 Wi-Fi antennas it will ensure there are network stability and improvement of the speed range. The laptop also has 1 TB HDD and 128 GB SSDs that have improved data faster and loads applications faster. Its battery is also long lasting and can take you for several hours for a single charge. 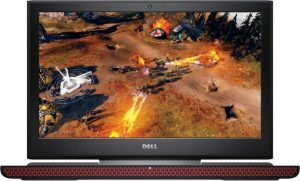 The next best gaming laptop is the Dell Inspiron 15 5000 5577. It is usually a portable laptop that you can keep in touch with all the time. It is usually made with a seven generation i5-7300HQ Quad processor and 8GB 2400MHz DDR4 that makes this laptop super powerful and ideal for gaming. Furthermore, it is stylishly crafted and easy to open design. The keyboard usually light up the keyboard to makes the typing more convenient and comfortable, it also creates a beautiful desk moments when you open the laptop. 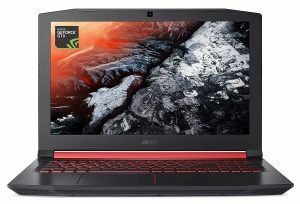 It is a great gaming laptop for those gamers who want a low priced laptop. Acer Nitro5 is a complete gaming laptop that provides an uninterrupted gaming experience all the time. Thanks to its NVIDIA GeForce GTX graphics and powerful Intel processor that makes this machine to have a very high performance when playing the game. Furthermore, it has stellar audio capabilities and advanced cooling thus it will support intense gaming sessions. Sleek, affordable and powerful. Those are the greatest adjectives that everyone could think of when it the best gaming machine. 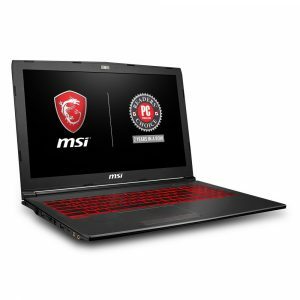 MSI GV62 8RD-200 Gaming Laptop has all those features and is one of the best-selling Gaming Laptop in the market. It features eight Gen Core i5-8300H processor and NVIDIA GeForce GTX1050Ti graphics that makes it powerful for gaming. With its Intel, Optane memory technology ensures that the laptop has a quick loading time of your favorite applications and applications. Moreover, it also has a MSI’s exclusive Cooler Boost technology that reduces overheating of GPU and CPU. Making a decision on the best gaming laptop has never been easy. That is the reason that we have made a list to assist you along. All of them come with a great price not more than a thousand dollars. 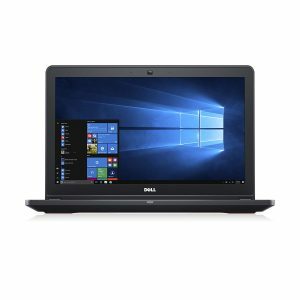 Go through each laptop in the list and choose the one that will meet your needs.